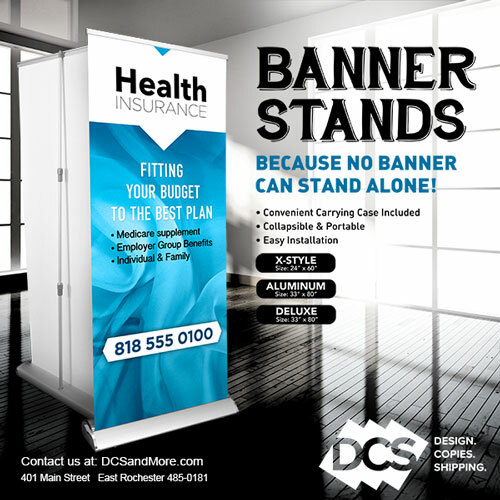 Graphic Design services are available at DCS in East Rochester | DCS and More: Design. Copies. Shipping. When we think of Graphic Design, we know that there are many levels of service that customers need. The most important thing is to really understand what each customer wants and the best way to deliver it to them. Many designers today only know how to work on electronic media, but our focus is on making your print material stand out. Making what you envision come out on paper is a skill that experience refines and makes successful projects come to life. There are many times when simply laying out information can be a challenge. Whether it’s a postcard, a flyer or a wide-format poster our team can help you complete your project. We have successfully assisted customers through the years with all types and sizes of creative work they needed done. We charge by the time spent on the project and will give you a fair estimate upfront and keep you informed of the progress as we go.